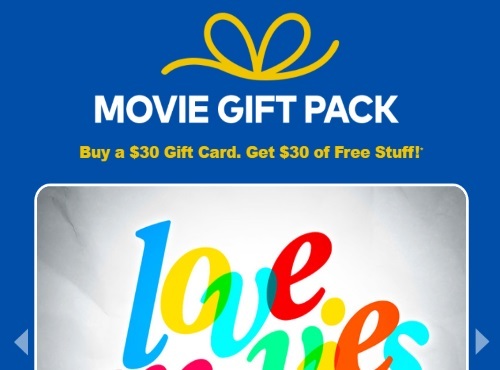 Cineplex Odeon's popular Movie Gift Pack is back! When you buy a $30 gift card you can get $30 of free stuff! Buy online or at any Cineplex Box Office before June 18, 2017. Redeem your offers now until September 27, 2017.